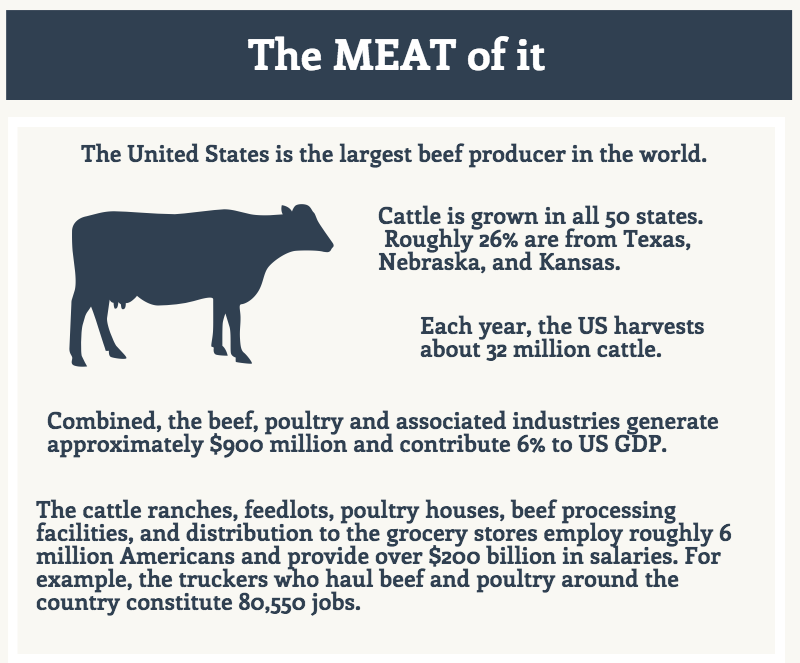 The United States is the largest beef producer and the largest beef importer. How is beef traded around the world, and how do global trade agreements affect the price of beef? President Trump has said he is in favor of Free Trade. A good thing, specifically for agriculture. However, when the Dirt-to-Dinner team caught wind of his plan to eliminate U.S. involvement in the Transpacific Partnership (TPP), which facilitates trade between the United States and 11 other Pacific Rim countries, and his intent to re-negotiate the North American Free Trade Agreement (NAFTA), among the U.S., Canada, and Mexico, we were immediately curious as to how this would affect some of the world’s most shared commodities: Specifically trade in beef which is important to our global economy. President Trump has determined that the U.S. will not participate in “unfair trade” – and will only negotiate what has been deemed “fair trade” – with bi-lateral agreements as deemed more effective than multilateral agreements. The World Trade Organization (WTO) plays a critical role in enforcing the rules of global trade. It is through the WTO that governments work together to better facilitate international trade and resolve trade disputes. Most Favored Nation status means that member countries all have a ‘WTO Standard’ agreement with each other and all countries are treated equally. However, some countries choose to negotiate separate bi-lateral and multilateral agreements. NAFTA and TPP are examples. In addition, not all products from all industries are treated equally. For instance, there can be a tariff on car parts but none on oil. Free Trade, in its purest form, means that there are no tariffs or taxes on products going across borders. To illustrate the importance of free trade, think of how well America’s States work together. Let’s take a favorite dessert of ours: ice cream. For this example, Ben and Jerry’s, made in Vermont before they were acquired by Unilever, Haagen Dazs, from New York, and Talenti, from Minnesota. Suppose Vermont put a $1.00 tax on any ice cream coming into Vermont to protect Ben & Jerry’s? Then New York would respond by putting a tax on Ben & Jerry’s ice cream coming into New York to protect Haagen Dazs. Free Trade across state borders keeps some of our favorite treats, like ice cream, free of onerous border taxes. Minnesota would get into the action and put a tax on Ben & Jerry’s as well as Haagen Dazs. The ‘free trade’ across the state borders would be eliminated and ice cream lovers would pay more for their favorite treat. Now imagine that multiplied for every single consumer product made in every single state. Our grocery bill would be extraordinary! 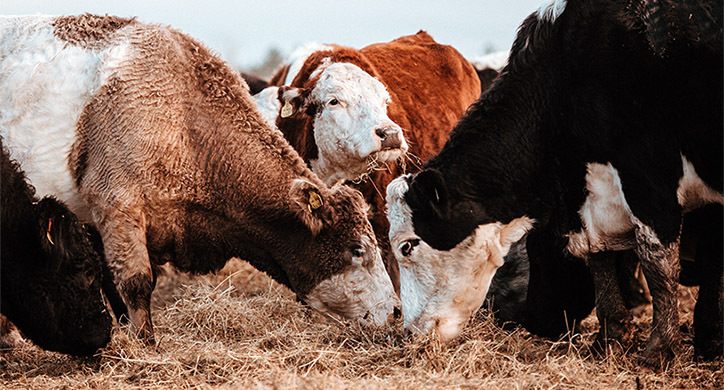 And while the D2D team will not speculate on what the future holds, we wanted to examine the beef industry as a way to illustrate how trade agreements can affect important U.S. agricultural products. After all, global trade is an integral part of the agricultural industry. 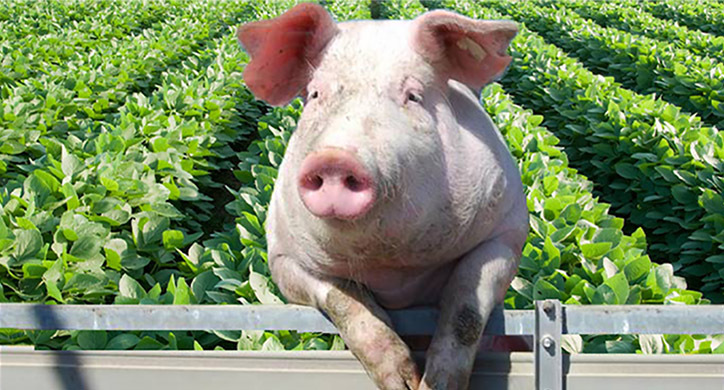 Can trade legislation affect what ends up on your dinner plate? Every country on earth imports and/or exports commodities such as grains, oilseeds, meat, or fruits/vegetables. Global trade is extremely important for the agricultural industry because of the fluctuations in supply and demand within countries and across borders. Weather variations, soil conditions, crop size, crop storage, and currency valuations are just a few factors that determine whether a country imports or exports any of its food or agriculture. We highlight these statistics because it helps demonstrate the expansiveness of this industry and its importance to the American economy. The total retail value of the U.S. beef industry sales totaled $198 billion in 2015. Just for fun, we compare this to the U.S. retail value of total car sales which was $239 billion! As the largest producer of beef in the world, the U.S. produces roughly 11.5 million metric tons of beef, 19% of global production. 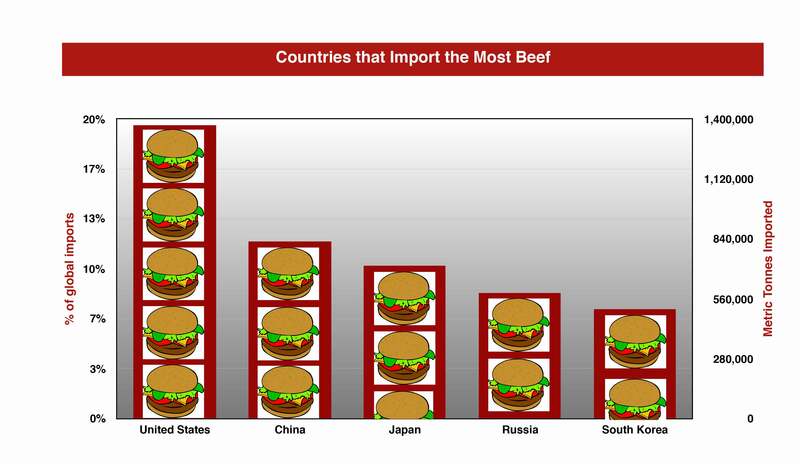 Yet, at the same time, the U.S. is also the largest beef importer in the world. 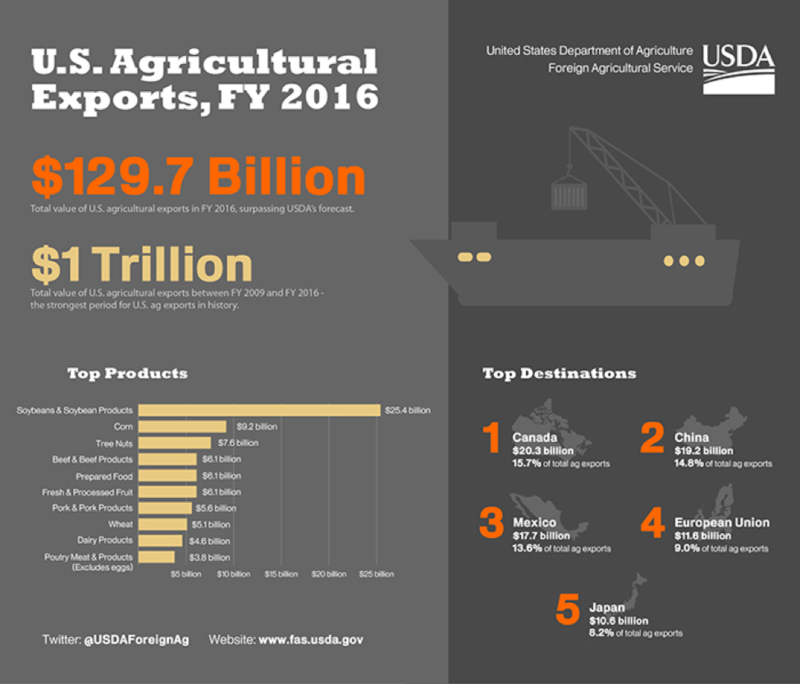 The U.S. imported 18% of global beef with China coming in second at 11%. On average, Americans consume 79 pounds of beef a year, per person. And while that number is impressive, we are not the largest consumer, Uruguay and Argentina eat over 120 pounds per capita! Why can’t each country grow its own beef? 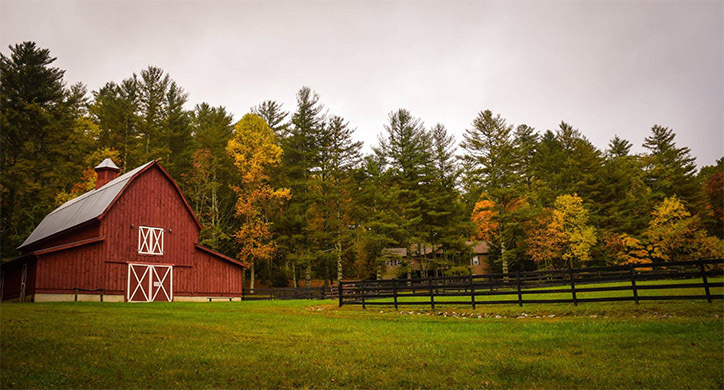 Each country does not necessarily have the land to grow corn and soybeans for animal feed or enough acreage to provide for animal grazing, concentrated feedlots, or space for various processing facilities. Nor may they be able to provide the transportation infrastructure to bring the beef to market. It is also important to be an efficient, environmentally sustainable and low-cost producer. The U.S, Brazil, the EU, and China are the largest producers. Yet while China is a big beef producer, they have to import their soybeans for feed. For leaner ground beef, the U.S. must import frozen or chilled muscle cuts from other countries. We mix these lean trimmings into the beef to give the American consumer lean choices with hamburger. Many times, when eating a hamburger, a percentage of that burger is from across the border. The least expensive meat is ground beef and trade allows many people in the United States to afford this delicious American tradition of protein. Therefore, in order to put all of these popular items on one menu – we must import! 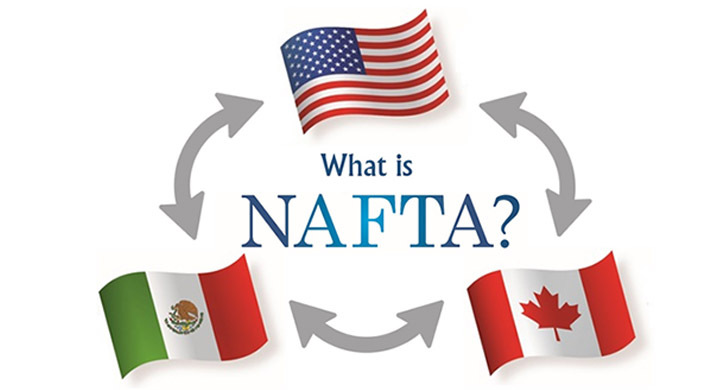 Because of NAFTA, the U.S. does not pay a tax from parts coming in from Canada and Mexico. For the other meat producing countries’ such as Australia, New Zealand, Japan, and Argentina, the United States is part of WTO where we incorporated a two-tiered system tariff (TRQs). The first tier, we pay 4.4 cents/kg and after that quota is met, there is a 26.4% tax. At D2D, we have stressed the health benefits of protein. Beef fits the bill. However, steaks and hamburgers are not the only tasty good-for-you meats. Tongue, intestines, the heart, liver, and other internal organs are considered delicacies for many nationalities. While they are not big sale items in the United States, other countries pay more for these ‘variety meats’ than they would for the basic muscle cuts. Put simply, the export market for the ‘offal’ and other such small delicacies help offset the cost of the cuts of muscle such as the chuck, ribs, briskets, chuck, tenderloin, and round steak. Beef trade around the world is complicated! Each year the U.S. beef industry exports about 10% of its overall production. In 2016, this equaled about $6.1 billion. Roughly, 80% of US exports are to Japan, South Korea, Mexico, Hong Kong, and Canada. Since Japan is the leading importer of U.S. and Australian beef, we decided to look at the beef relationship between the United States, Australia, and Japan. Now let’s focus on the beef tongue for a moment. Beef tongue is a delicacy in Japan. You can have it mashed, fried, roasted, smoked, salted, or barbecued. Want it with eggs? No problem. Because it sells for about $6.00 a pound, it is an important cow part! In addition, the Japanese like the marbled meat from the U.S. for their ‘fast food’ beef bowl over rice. However, they prefer Australian grass-fed beef for their ground beef. 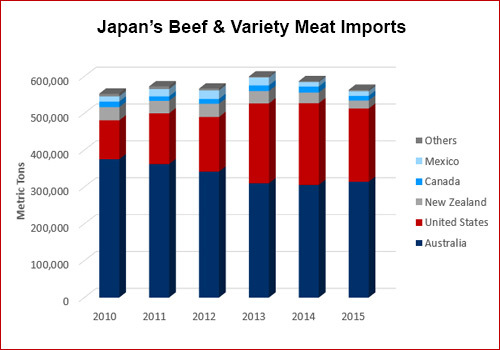 The U.S. and Australia compete for Japan’s beef market, each providing roughly 40% and 50%, respectively. Japan is a particularly strong export market for the United States – which is why we need to have a competitive trade agreement. Why does Australia export more beef than the United States? Australia is part of the Japan-Australia Economic Partnership Agreement (JAEPA) effective January 2015. As a result of this trade agreement, on muscle cuts, the Japanese pay 11% less on taxes for Australian beef than what they pay in U.S. muscle cuts. But on the beef tongue, the difference is 3%, in favor of the U.S. The U.S., on the other hand, just has a basic WTO agreement with Japan that does not differentiate itself from other countries. According to a USDA analysis, the U.S. exports to Japan would lose significant market share to Australia unless similar trade agreements are formed. 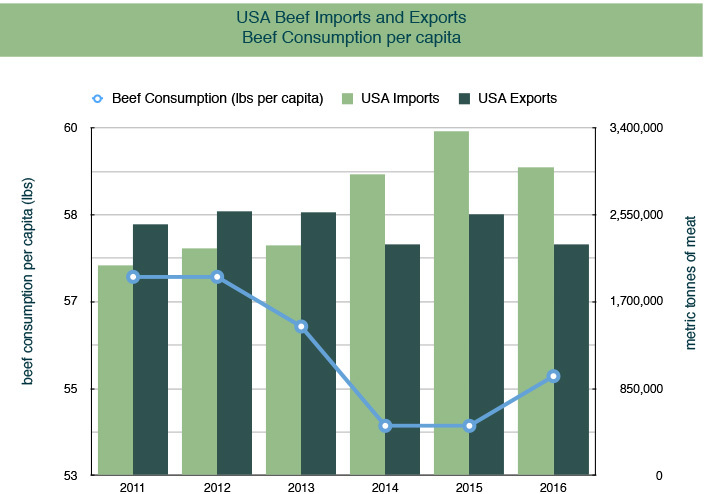 The analysis estimated that imports of Australian beef would rise by about $100 million and conversely, the imports of U.S. beef would fall by $100 million. Since the U.S. has decided not to participate in TPP, a ‘fair-trade’ bi-lateral agreement with Japan, or a ‘tri-lateral’ trade agreement with Japan and Australia, it could increase U.S. exports to Japan significantly and put us on par with Australia and other countries. The important and interesting thing about trade is that it is not just about tariffs. Like any commodity, there are supply and demand fluctuations that change depending on the weather, crop prices, labor availability, the herd size, and supply/demand. Because of their drought, Australia had a smaller cattle herd – subsequently, it now costs more to process the cow. The United States, on the other hand, had a larger herd and could be more competitive on pricing. At times there can be as much as over a $600 a head difference! And as we look ahead, based on meat industry supply and demand history, the herd size is anticipated to shrink in the U.S. and grow in Australia – having the reverse effect. Another important trade partner for beef will be China. Because of the growing middle class – who are eating more beef each year –, it is the world’s fastest-growing beef import market with a value of $2.39 billion in 2015. In 2016, the per capita beef consumption was 12.2 pounds. It is expected to continue to grow substantially as the middle class grows and the appetite for beef increases. Rising feed costs and limited land makes it easier and cost effective for China to import rather than grow all its own beef. Just think of the impact on the export industry if 1.3 billion people ate just one more pound a year! 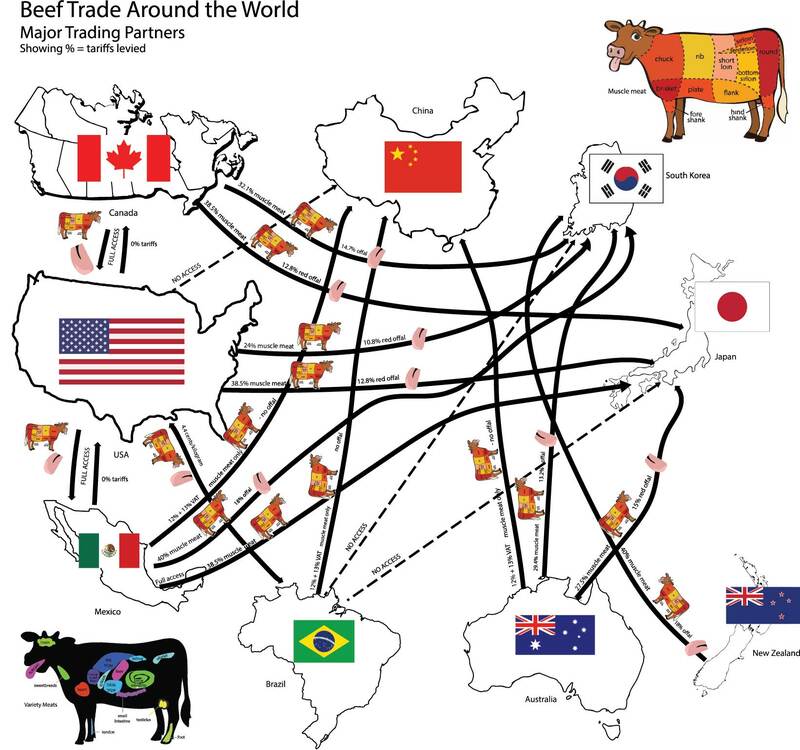 In 2003, because of BSE (Mad Cow disease), China restricted imports from the United States and has received their beef from Brazil, Uruguay, Australia, and New Zealand. In 2002, the United States supplied roughly 70% of China’s beef. A trade agreement between China and the United States will be interesting to watch as there will certainly have to be variations between industries – however, the US has not successfully concluded an agreement with China, yet. Market access is dependent up such items as to whether cattle have antibiotics, steroids, and whether they can be fully traced from birth. Let’s not forget Canada and Mexico who are important trade partners for the U.S. as well. One would think that Canadians would be self-sufficient in their beef supply. Because their summer is so short, they are outside barbequing so they use up their meat supply and have to import their beef! Mexico and the U.S. export beef to each other. 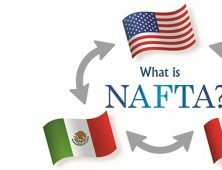 Because of the negotiated ‘no tariffs’ with NAFTA, trade is seamless and easy between these three countries. In summary, beef travels around the world. 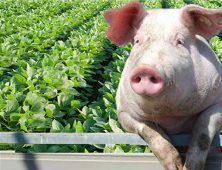 How much you pay and the type of meat you eat at your dinner table depends on government access as well as government trade agreements. Each country has its own supply and demand stresses with some years better than others. Many countries depend on exports. In 2015, for instance, Australia exported 74% of their beef, worth $9.3 billion – 32% to the U.S. and 22% Japan. Adding government interference just adds more stress on employment, pricing, and trade flows around the world. Agricultural Free Trade is important to give all countries an advantage in exporting and importing agricultural products. Supply and demand in agriculture depends on many variables so that flexibility is important. Putting up trade barriers while other countries have none, simply puts the U.S. agricultural system under undo pressure and ultimately increases prices for the consumer. Trade works the best when it is directed by markets and consumers – not the governments. 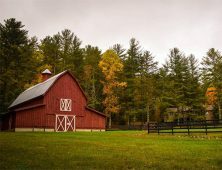 What is the Farm Bill — and why should you care?